This book has been on my shelf for years. Recently I made an intentional TBR stack choosing mostly those that have been on my shelf for three or more years. I seemed to be in the habit of reading my most recent acquisitions. But I digress . . . The best way to describe this book is that it seemed the epitome of the English in all their demeanor, mannerisms, and utmost restraint. It is the story of two women named Elizabeth one of which narrates to us, while the other she refers to as her friend Betsy. They meet at school when they are young and remain lifelong friends. When in their 30's Betsy has met her love in Paris while Elizabeth meets the older Digby and settles into a mediocre but safe life and must live with the effect of it's outcome. While there is really no plot to this story it is not a light read by any means. The true gem of this book is the remarkable writing itself and how perfectly the author describes Elizabeth's every reasoning behind her every thought and action as if we are truly in her head. The intimacy we gain with this character is amazing. Ms. Brookner's tone is rather somber yet soothing to read. I will be reading more by this author and I would recommend this only to those who truly appreciate the written word. Shelf life: Approximately 5 years. Another exceptional debut novel, this time from M. L. Stedman. An absolutely satisfying read for me as it captured my attention from beginning and held me until the end. This story begins with the character of Tom Sherbourne who after the first World War takes a job on Janus Rock, Australia as a lighthouse keeper. He adapts easily to a life of solitude with his only human contact being every three months with deliveries from the mainland. Once he is granted his vacation leave after almost 2 years he catches the eye of Isabel Graysmark and they marry. While they are happy in marriage they also have their heartbreak as Isabel suffers two miscarriages and finally a stillbirth. One day they hear a baby crying to discover a rowboat washed ashore containing a dead man and a baby. Believing that this is a miracle bestowed just for them Isabel immediately takes to the baby as if it were her own. At first Tom is relieved to finally see his wife so happy but eventually integrity prevails his heart and he feels compelled to do the right thing. With a moral dilemma to weigh, Tom fears his marriage will be the consequence. Not only was this book so beautifully written that it completely gripped my heart, it was also filled with Australian history and culture which I found most interesting. Highly recommended for those who appreciate an emotional read. The movie is "coming soon" so you have time to read the book! It stars Michael Fassbender and Alicia Vikander who just won the Academy Award for Best Supporting Actress. I've attached the link for the movie trailer. Finally a love story where the aching questions "Why did they break up in the first place?" and "Did they ever get back together?" are answered in one book! 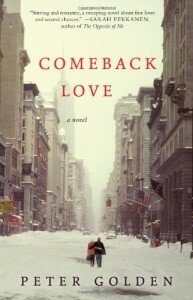 Peter Golden's Comeback Love is a love story about second chances and the one that got away. As his debut novel I'd say it is an excellent work. 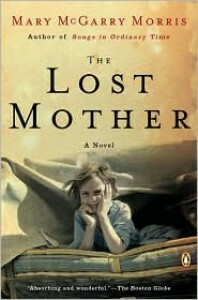 The book begins in present day when Gordon Meyers decides to look up his lost love Glenna Rising. She is surprised to see him but agrees to join him for a drink. As they catch up with each other and reminisce over the past the author takes us back and forth from their previous life to present day as he tells this story. We are brought back to the 60's when the two meet in a time when they were passionate about their ideals which defined them as well as drew them together. Gordon is a journalist trying to write a book but remains a college student semester by semester whilst avoiding the draft for Vietnam. Glenna is a med student and caught up in women's rights specifically abortion. While they are very much in love, their relationship is emotional and intense. 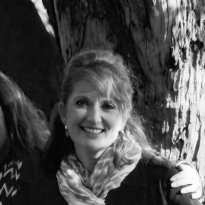 Upon meeting again thirty years later it seems their lives resemble the past. I would describe this as a grown-up love story that feels more believable than most. It had substance and depth so it did not feel sappy or foolish whatsoever. I would highly recommend this book to readers who want to graduate from Danielle Steele and/or Nicolas Sparks. 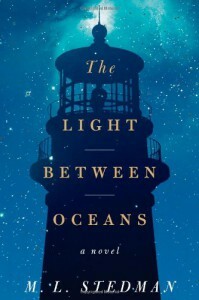 I have put this author's current release "Wherever There is Light" on my wish list. 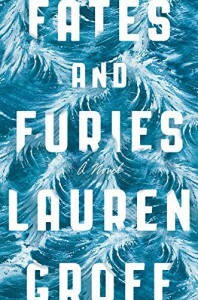 My book club met over the weekend to discuss Fates and Furies by Lauren Groff which I've held off reviewing so as not to give away any spoilers to those in our group who might not have read it beforehand. The premise of this book intrigued me as it was described as the story of a marriage told in two perspectives, that of the husband and that of the wife. We start off with the story of Lotto (Lancelot), how his family marked him for great destiny simply by saying it out loud. Having been told nothing but this all his life, Lotto believes this to be his truth and floats through his youth as if he is the chosen one. Although briefly bereft after being sent away to boarding school his talent is discovered in acting and thus his notority has begun. His display of behavior is over confident and over indulgent especially in promiscuousness, until he meets Mathilde. Lotto realizes there is one thing missing from his life and that is love and nurturing and exactly what Mathilde is ready to give.They marry immediately after graduation. As they bask in the glow of love their marriage is difficult. Mathilde manages Lotto's sporadic acting career until he finds his glory again as a playwright. Now, we come to the second part of the book and the flipside of the relationship. Mathilde's side, so very different, so very eye opening. I was both blindsided and riveted as her story unfolded. After a childhood tragedy her life was never the same. Without a stable home and parental love her life was lonely and desperate which ultimately resulted in resentment. Mathilde is patient and shrewd as she astutely avenges those who have have been adversaries in her life. One might question which was truly the better actor, the husband or the wife? This was a most lively and candid discussion for our book club and we joked that the first half of the book was very Fifty Shades of Grey if you will and the second half had a feel of Gone Girl For myself the first part was a bit tedious reading through the repetitive explicit scenes but definitely worth the entire read. I was completely captivated by Mathilde's account, but then I'm always fascinated by a good revenge story. I found it highly entertaining. How I acquired this book: Christmas gift from my son. This is the heartbreaking account told by 13 year old Thomas during the Depression era. He lives in Vermont in a tent in the woods with his dad and his younger sister Margaret after his mother leaves to "seek a better job elsewhere." A perfect example of how children interpret the mysteries of adults. With what little information his dad has told him as to why his mother left his innocence paints a different story than the truth and he is determined to find his mother, either to bring her home or to go live with her. Life for Thomas and his sister have not been easy while in their father's care who seems to be on a streak of bad luck. When they are informed their dad had to leave for temporary out-of-town job they are passed from house to house. At first they are happy at each place once they are warm and fed but each household reveals their skeleton and ultimately making it impossible for the children to stay. Mary McGarry Morris does a superb job in depicting Thomas's emotional, frustrating and painful experience as he finds his way to the truth. Definitely my favorite to date that I've read by this author. I would recommend this book for those who appreciate thoughtful reading. Holding off on this review for now and just rating it and marking it as read. Since this is our book club selection and won't be discussed until next month, I don't to give anything away. This book won the Edgar award in 2014 for Best Novel and while this book is listed within mystery genre I don't know that I would describe this book as a typical mystery. I came by this book highly recommended by a family member and it was the perfect read for my long flight home from Greece. Set in a small town in Minnesota, it is 1961. The story is narrated by Frank Drum who is recalling the summer when he was 13 years old. Frank is the son of a most compassionate preacher Nathan Drum who could be easily compared to Atticus Finch. Frank is the middle child, second to his older musically talented sister Ariel and his younger brother Jake of whom he is very protective. This coming of age tale portrays how people cope when tragedy occurs within a rural community. It is both insightful and inspiring as we witness the outcome when small minds meet with gentle wisdom. 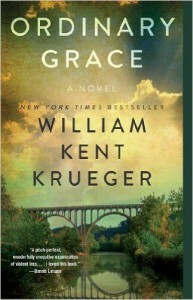 When I read a biography about the author, William Kent Krueger it said his favorite book was To Kill a Mockingbird. I wasn't surprised as this story has hints of a similar tone. One of the most beautifully written books I have ever read and particularly accurate in describing grief. I found this story to be both exquisitely and intensely poignant and one I will not soon forget. If this book does not touch your heart then I'm afraid nothing will. I give this book the highest recommendation. I purchased this book based on all the great reviews on the blogs I follow and decided to save it for vacation just knowing it was going to enjoy it thoroughly. 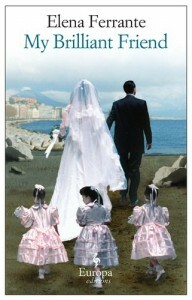 The story of childhood friends Elena and Lila growing up in the 1950's in Naples, Italy tells of their ongoing competition they held throughout their lives. Both trying to out do each other in school to receive the highest marks and praise from their teacher. It was their hope that if they did well enough that their family would allow them to continue their studies rather than work. Highly influenced by the males in their families as well as the mafia within the city it is difficult for them to have a life of their own which they both ultimately desire. I found this book difficult to read and discovered afterwards it was translated from Italian which may be where the problem exists. Sentences felt choppy and lacked flow, in addition there was a sense of repetition as if I were reading the same excerpts over and over. The one thing that didn't ring true to me is while this story took place between the 1950's-60's Italy there was barely any mention of religion. Growing up as an Italian-Catholic this seems unbelievable. The only reference was for their First Holy Communion and a wedding. One would think both religion and mafia would have equal influence in their lives. 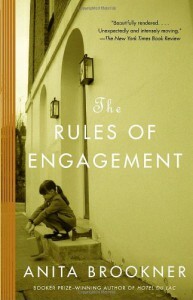 I really wanted to like this book and I may decide to give this author another chance only because she's Italian. 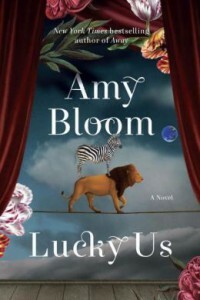 Lucky Us by Amy Bloom was our last book club selection and discussion. It would seem it was a unanimous thumb's down. I had never heard of this book nor the author and based on the summary that I read on it in order to "vote" for our selection it didn't particularly appeal to me. This is the story of Eva who being raised alone by her mom while her dad sometimes "visited.". One day her mother decides to drop her off at her dad's house and never looks back. 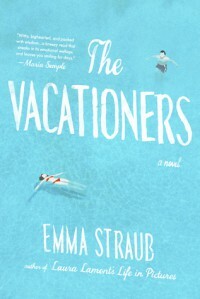 Eva finds out her dad was married to another woman who has since died and she also has a half sister named Iris. Thrown together unexpectedly they decide to make the best of their situation. Iris is successful in many local talent shows and has been saving her prize money in order to go to Hollywood. When Eva catches her dad rifling through Iris' room searching for the money Iris decides it's time to leave home now. Eva tags along and their adventure begins. They meet many noteworthy characters that manipulate their journey. I had difficulty connecting with any of these individuals except perhaps Eva who I think tried her best considering the hand she was dealt. There was too much chaos and dysfunction within the story for me to enjoy it. I grow weary of the characters using each other for gain, find it distasteful and as a result often wind up not liking the book. Unfortunately this was one of those times. I would not recommend this one. This was one of my suggestions for our book club based on some reviews I had read about it. While it didn't get selected I'm sorry it didn't as I think it would have made for an excellent discussion. A story about high school teens who meet at a summer camp for gifted children in 1974. Some from privilege and others on scholarship they name themselves "The Interestings" assuming they will always remain remarkable humans. As campers they make plans and dream of their destiny and all they will achieve in their life. We follow Jules, Ash, Ethan and Jonah as they leave camp and set out into the world. Not long after they have come of age a tragedy occurs that causes their friendship to tighten as they share a secret to bear. 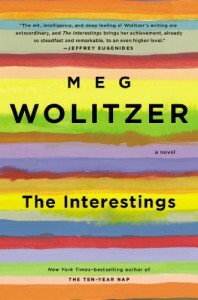 Meg Wolitzer does a wonderful job as she develops these characters into people we see grow and age before our eyes as we witness to all they experiences in their lives. For some this might seem a lengthy book but I felt it was necessary to invest in these characters depth that spanned more than thirty years. It was fun to relive the 70's which was my childhood as well. I enjoyed this book as it was well written and kept me captivated throughout. How I acquired this book: Purchased at Barnes & Noble with giftcard given to me by my Aunt as a Christmas gift. This is the perfect-stay-at-home-on-a-rainy-day-read. 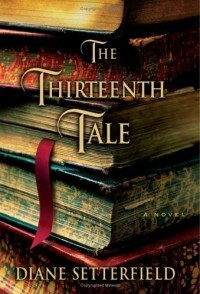 A beautifully written gothic tale set in modern day England is mesmerizing until the very end. The story starts off with Margaret who with her father is the owner of a antique bookstore. She is a novice biographer when she's asked by the famous and reclusive author Vida Winter to write her biography. Ms. Winter never gives interviews so Margaret is both excited and intrigued when she is chosen for this endeavor. Once Margaret meets the solitary author she realizes that although she was invited, her task is nothing but easy. Ms. Winter is a reluctant subject giving up very little and guarding her secrets. It is Margaret's job to dig deeper to discover the truth of this mysterious woman's past. One of my favorite books I've read this year. If you loved Rebecca by Daphne du Maurier then I would recommend this book as it is written in a very similar style. Creepy enough for chills but not over the top. A thoroughly satisfying read. Shelf life: Approximately a year and a half. 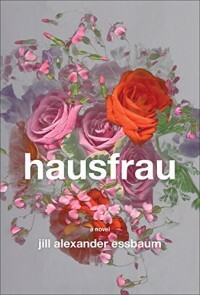 I received this novel by Jill Alexander Essbaum as an Early Reviewer via LibraryThing and Random House. Anna Benz is an ex-pat living a comfortable life in Switzerland as a housewife with her successful banker husband Bruno and their three children. When we meet Anna she has been in Zurich for more than ten years, without any close friends or interests nor knowledge of the German language. She finally decides to take a German class and it is there she meets Archie and begins an affair. What we find out as we sit in on her therapist sessions is that this affair is not her first nor her last. Anna is not happy nor does she seem to know how to be happy. While most would think this a very depressing and heartbreaking book, and yes in some ways it was, what I found interesting was being inside Anna's head and her thought process if you'd call it that. Anna lives isolated inside her head and not outside of it. I thought the author did a superb job describing the logic and rationale of this character. Because of this I enjoyed the book regardless of the distressing theme. I put this book in the Thelma & Louise category which I define as bad decision after bad decision continues until there is no going back. A modern day Anna Karenina if you will. Recommended for readers who can appreciate a well-written story. 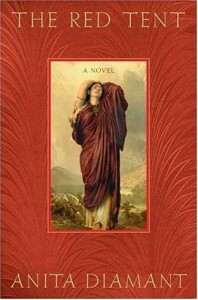 A biblical tale and fictional account based on the story of Dinah from Genesis. The only daughter born to Jacob and Leah (first wife) of the Old Testament is narrated in the voice of Dinah through the stories of her mother and aunts. Dinah grows up in The Red Tent where the women of Jacob gather for childbirth, healing and their monthly cycles. Each aunt lovingly tells her story in order pass knowledge and teach Dinah the history and lessons that came before her. Here she learns the dynamics of how these women get along as well as the obstacles they've faced. To say these women had it difficult is the supreme understatement. From her beautiful aunt Rachel she learns midwifery and discovers she has a genuine calling so much so that she is sought out from others and thus brings value to her tribe. We are witness to Dinah's coming of age, falling in love and her life's journey bringing her full circle. Ultimately a women's read, I found this story dense with emotion and at times intense. One of the most satisfying stories I've ever read. While this book sat on my shelf for nearly a decade I admit I felt somewhat put off by the subject matter all the while hearing high acclaim for it. I'm sorry I let it sit so long but it's a relief to have it off the TBR stack shelf. I give this book the highest recommendation and am happy to have already passed it on to a book club member. How I acquired this book: Passed to me by my friend Jackie. This book marks the 8th book read on my Classic's List for the Classic's Reading Challenge. Reading this book for the first time I can honestly attest this popular classic completely lives up to its reputation. An outstanding example of classic literature possessing both lasting value and timeless quality. 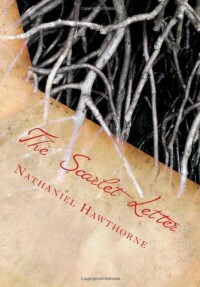 It's 1642 in Puritan Boston, Hester Prynne is an adultress who becomes pregnant after her husband leaves for sea and thus wears "the scarlet letter" for all to see her shame. Gossiped and scorned within the town she is morally condemned by a community whose ethics and values are paramount and unwavering. When asked to name the father of her child she refuses, thus infuriating those condemning ever more so. The father of Hester's child, Pearl is none other than the town's minister, Arthur Dimmesdale who must now wrestle with his own moral conscience. Committing a sin as well as keeping it secret. While publicly humiliated Hester is required to stand on a scaffold in the town's square as part of her punishment. At this time she spots her husband in the crowd who was believed to be lost at sea. He later visits the prison, wanting to seek revenge on the man, asks Hester who's the father of her child. Once again Hester refuses to name her lover but her husband vows to identify him. Thus ensues the love triangle. Reading this book was an absolute pleasure. Some might fight the language old fashioned and archaic, for me it was soothing and gratifying. I wish everyone would read this book.